By keeping the track of advanced market development, we are engaged in offering an unparalleled range of Fibre Ladders. FRP ladders have to be absolutely shock free, easy to use and long lasting. 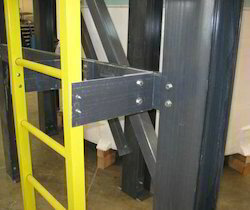 We provide you FRP ladders that fit all these criteria. These ladders are water proof and can be carried easily.